From left to right: Vice Mayor Vernon J. Burton, Mayor Daisy Raisler, Commissioner Tom Wilson, Brendan Hurley, Attorney Mark Watts, Commissioner Michael Woods, City Clerk Becky Witte. 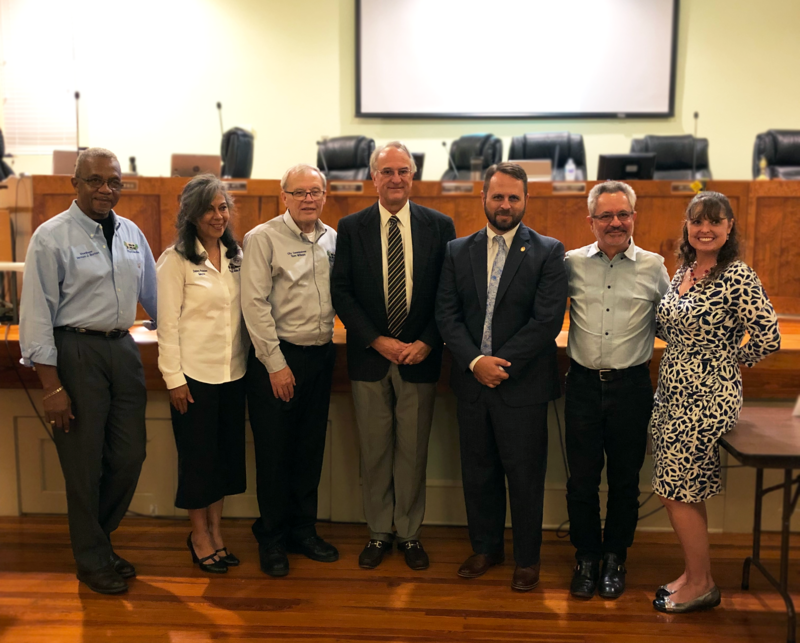 Photo taken Nov. 9, 2018 during Lake Helen Commission Regular Meeting. The I-4 AutoMall is a new concept in vehicle shopping and will be located in Lake Helen, Florida adjacent to Interstate 4. The vertical design of the multiple dealership modules minimizes the amount of land used to store automobile inventory while also providing shoppers the opportunity to evaluate vehicles in a comfortable, indoor environment. With an emphasis on sustainability and environmental stewardship, the design team is evaluating the use of solar arrays to provide power for the facility, the capture and reuse of rainwater, and a geothermal system to minimize energy consumption and provide air conditioning. New technologies will be deployed to maximize building and employee efficiency, including sensor technology for inventory management, advanced AV systems, and a distribution center.